I’ve had to stop accelerating. But the second I thought that, God chortled. A smiling trio of the finest human beings there’s ever been. Okwonga considers himself a poet, a sportswriter, a PR professional, an author, and an occasional MC. Okwonga’s poetry, which he often writes on London buses, travelling entire routes in order to be immersed in humanity, displays astonishing subtlety of observation. “The language has to be a vehicle for the story, the message,” Okwonga says. “Otherwise, it’s just intellectual showboating. People go to poetry gigs to hear intellectual honesty.” In his poetry, as in his life, that is exactly what they get. 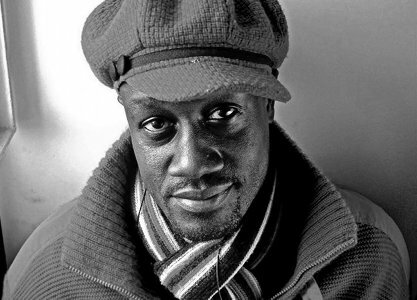 Okwonga is also a founding member of Poetry collective “A poem in between people” (PIP).